Since it was high -temperature, I have not noticed that I have heat. 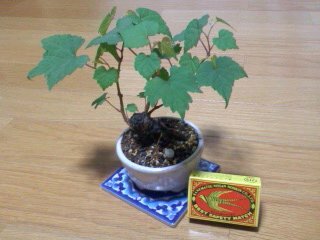 I bought the potted plant of the mountain grape. I expect what size of a fruit will become.